If a spill happens, don't panic! Place something over the stain so you don't accidentally walk on it. Try using aluminum foil instead of a cloth, to avoid transferring the liquid from the carpet to the cloth. It is tempting to try to remove the stain yourself, using over the counter stain solutions; however, you will probably only remove 50-75% of the stain. After any type of solution has touched the stain while attempting to wipe up the stain, it is usually too late to call a carpet cleaning professional. This is because the stain will have penetrated too far into the carpet fiber making it nearly impossible to remove all of the stain. Call Elite Carpet Care for all of your spot and stain removals. Our highly-trained technicians will arrive at your home with state-of-the-art equipment that provides actual steam for a thorough steam cleaning. Steam cleaning is the choice for most carpet manufacturers, this type of method allows for a deep clean (perfect for spot and stain removal), as well as the faster drying time. Steam cleaning is also a proven safe method for solving the problem. 1. What type of stain is it? 2. When did the stain occur? 3. Was there an attempt to remove the stain? 4. Was there a cleaner used, if so what type? You may also want to consider a stain protector on your carpeting, to help protect against future stains. Ask our Elite Carpet Care professionals for more information regarding the Carpet Protector today. Elite Carpet Care is the leading provider of carpet cleaning for residential in and around the Las Vegas area. We use the most current carpet cleaning machines available and our technicians have been trained in all aspects of carpet cleaning; ensuring reliable, on-time and courteous service that you deserve each and every time. Elite Carpet Care uses only environmentally friendly materials; meaning that when we are done, your house will be clear and free of chemicals. Our methods of using specialized steam cleaning equipment will remove the most ingrained dirt, bacteria and dust. Not only do we remove the tough stains, but your carpet will look better and your home will be healthier in only a few hours. The cleaning process includes a gentle, non-toxic cleaning solution inserted into the carpet fibers with hot water which loosens and lifts the deepest dirt and soil particles. A powerful suction is then used to extract the dirt, as well as 95% of the moisture. This reduces the drying time and removes all the soap as well as any microscopic allergens that trigger allergies. While other methods of carpet cleaning mostly remove dirt from the surface of your carpet, the steam carpet cleaning system has been proven to remove even the deepest dirt and soil particles while refreshing the texture of the carpet, making it the healthier and safer option. 1. Vacuum carpeting/rugs twice (2) a week. 2. Have carpeting cleaned professionally once (1) a year. 3. Add baking soda to your vacuum to cut odors. 5. Let Elite Carpet Care handle all your hard to remove stains. Some people think that having a professional carpet cleanin company will be expensive the fact is that the industry is extremely competitive and it is always possible to find a good, qualified company that will give you a competitive price. Be sure to check the qualifications. Failing to do so, may leave you with a ruined carpet and even water damage. One of the best reasons to hire Elite Carpet Care is that your carpet will be cleaned to perfection with very little inconvenience and with minimal cost. You may feel that doing your own carpet with a cleaning machine will save you a lot of money, but in the long run, renting a machine that you don't know how to use may end up causing a lot of damage to your carpeting and floors. Additionally, many carpet cleaning fluids contain very harsh chemicals that most homeowners wish to avoid using. 1. Shampoo Cleaning Method: Shampoo solution is injected deep into the carpet with high pressure and then immediately removed with a high-power suction eliminating the soap, moisture and odor from the carpet. 2. Absorbent Cleaner Method (dry cleaning method): Small amounts of water, detergent, and solvent are sprinkled over the carpet and then a mechanical brush works the solution deep into the carpet. We then use the extraction system to remove the soil, detergent and any remaining solvent mixture, followed by vacuuming. This cleaning method has the advantage, due to very little water is used, making the drying time limited. 3. Hot Water Extraction Method: A solution of water and detergent is sprayed onto your carpet followed by a powerful vacuum cleaner removing soil, dust, grease, wine stains, caffeine and lotions. You will not need to clean the carpet for some time. 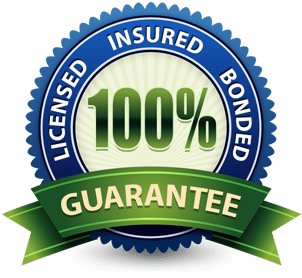 Elite Carpet Care uses only safe environmentally safe cleaning procedures that are self-neutralizing, biodegradable and non-toxic. So there are no residues or odors remaining in the carpet after the treatment.